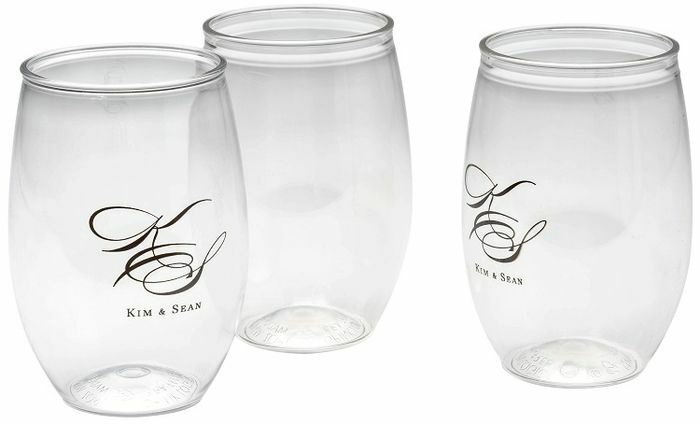 The plastic stemless wine glass is perfect for the beach, sporting events, tailgates, weddings, festivals, giveaways, and all social activities! A durable, eco-friendly, fun, tumbler that will be taken home and reused. Production Time 4 business days. Virtual Proofs will delay order by approx. 2 work days.